What does it take to “make it big” in show business? Hard work, determination, creativity, and a little bit of luck. Writer/producer Alan Ball (Grace Under Fire; American Beauty; Six Feet Under) sometimes browses iTunes for inspiration; he can spend $50-$100 at one pop. One night, he happened upon Bad Things by singer-songwriter Jace Everett. 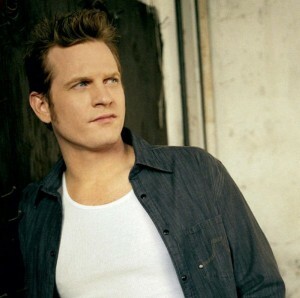 This song, which Jace calls “a funny, goofy song,” became the title (theme) song for Ball’s newest HBO show, True Blood. Jace has many new fans, who otherwise wouldn’t come to country music. However, Jace has never followed the typical country route. Jace Everett (b. 1972) moved around a lot as a child and didn’t listen to secular music until age 16 (he was deeply involved in church). He sang in church as a kid, and picked up the guitar as a teenager. Jace quickly realized that music was something he had to do. He moved to Nashville to attend Belmont University, but only stuck around for one semester. “Music school was not going to teach me about the music business,” Jace said in a recent interview on The Leonard Lopate Show (WNYC). Jace worked several years as a bartender (Nashville) and construction worker (Texas) before getting a deal with Epic Records. His sound is a mix of rock and country. 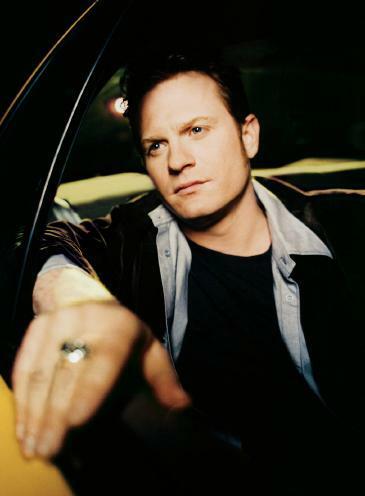 I would recommed him to fans Dwight Yoakam and Gary Allan. The voice is unique (natural, self-assured, w/ a but of a growl) and the guitar playing is terrific! Little Black Dress is one of my (current) fave songs. A Little Less Lonely is a sly/fun song about a guy who wants a close friend to become “a friend w/ benefits.” Jace also wrote the number one single Your Man (sung by Josh Turner). In interviews, he comes across as a very humble and straight-talking guy. Here’s to more GOOD things! 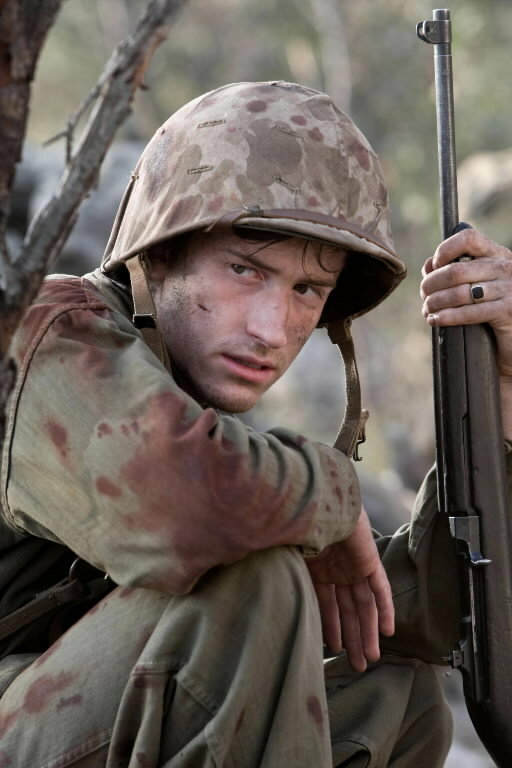 Robert Leckie (James Badge Dale) sees one Marine shoot himself in the head, unable to take the rain, jungle, fighting, and mental pressure. He gets a bladder problem and is sent to spend some time recuperating at a hospital facility on a nearby island. Leckie, who’s family has a history of mental illness, is unsettled when he sees men with psychiatric problems at the facility. Eugene Sledge (Joe Mazzello) and Sidney Phillips (Ashton Holmes) are very happy/excited to see each other while at camp. When Sledge asks about how the war was for Phillips, he explains that “there’s no way to describe it.” When Sledge goes to the library tent to pick out a book to read, he has a chat with Leckie. (I think some of the books are from Leckie’s own collection.) When Sledge picks up the Bible, Leckie comments that he doesn’t believe in religion anymore. “What do you believe in?” Sledge asks quietly. “I believe in ammunition,” Leckie responds with a wry smile. It turns out that Sledge doesn’t need the book, as he carries a tiny Bible in his pocket. Back in the US, Congressional Medal of Honor recipient John Basilone (Jon Seda) is staying at the Biltmore and spending time with a blonde actress. His actions are depicted in comic books- he’s famous. His older brother (also a Marine) comes to visit him at the hotel. So far, this is the most visually stunning, frightening, and engaging ep of the series! The viewer follows the teenage Sledge as he storms the beach at Peleliu, where the Marines faced some of the most dangerous fighting of the war. He prays under his breath and his eyes fill with fear as men are blown up around him. Sledge struggles to cross the beach, amid dead bodies, explosions, etc. Simply riveting episode! Phillips (Sledge’s good friend/neighbor) goes home to Mobile, Alabama and meets with Sledge’s parents. He says some consoling words to them, concluding that “He’s w/ a great bunch of guys. I’m not worried for Eugene.” “Mortar men” like him and Eugene are generally behind the most dangerous action, he explains. However, Phillips’ eyes are heavy w/ concern. Back on Peleliu, the men want one thing- water. They find a poisoned pond. They face tremendous fighting, but Sledge comes through it. He even pulls up a fellow Marine, Merriell Shelton (Rami Malek) and assists him to cross a field. When he admits that he’s “never been that scared in his life,” Captain Haldane comments that “Anyone who says he isn’t scared out here is either lying or dead.” He earns the nickname “Sledgehammer” from the fellow he helped. Leckie, who has been wounded, meets with an old friend from an earlier battle, as they head away from the Pacific on a US carrier. The airfield on Peleliu was taken after 3 days. But the Japanese weren’t going to give up. There was an intricate system (w/ about 500 caves) on the island where they were hiding. “The enemy was ruthless. We were doing to have to dig them out one by one,” one WWII veteran said. They were 30 days of heavy fighting w/ many Marines killed or wounded. One night, Sledge shoots two men, thinking they are Japanese. But in the morning, he realizes that one was an enemy soldier, but the other was a fellow Marine who’d gotten out of his foxhole. An older Marine is very angry that this happened; they’re not allowed out at night from their foxholes. A tough, older Marine is scared and unable to move after a sudden and terrible attack. The younger men are surprised that “someone like him can break.” Sledge hugs and consoles a fellow Marine when he breaks down in tears in the middle of the night. The captain has been killed, Sledge and his men learn while on a patrol one sunny day. As Haldane’s body comes by on a stretcher, several men have tears in their eyes. Sledge is full of anger, and thinks about taking out a dead enemy’s gold teeth (as Shelton had done earlier). But he takes off the insignia instead, crying at the loss of the captain who encouraged/motivated him when he needed it the most. Sledge and the other Marines are stunned to see some pretty/young nurses handing out cups of lemonade when they finally reach camp. They take a long-needed bath in the ocean. Peleliu was taken by the US, but many people didn’t know about the horrible fighting that occurred there. General MacArthur didn’t use that island for any future operations. When he arrives at Camp Pendleton, Basilone is struck by a beautiful dark-haired nurse, Lena (Annie Parisse). It turns out that Lina is also Italian and a Marine (there are 3 stripes the arm of her white uniform). Unlike the young Marines and other nurses, Lena is not automatically impressed by Basilone (“the hero of Guadalcanal”) when he asks her for a dinner date. She knows about his penchant for starlets. But John keeps on trying and she invites him to have breakfast very early (before her KP duty begins). B/c of this, he wakes the men up at 3:30AM for a 10K run- LOL! Lena makes coffee and French toast in the mess and they talk about food, family, and their love of Marine life. You can see John falling in love; Lena is intrugued my him. “It’s amazing what can happen over a cup of coffee,” John comments. John and Lena talk, spend time at the beach, and fall deeply in love. Though he has re-enlisted, she agrees to marry him. They marry in a little church near Camp Pendleton. During their honeymoon, John says that he wants six kids. Lena gives him her little gold cross necklace that she always wore around her neck. Basilone enters the battle at Iwo Jima alongside the Marines he trained. “If you want to live, get off the beach!” he shouts to those men who are falling behind. The men watch in awe as he runs, bobs, and weaves away from danger. Suddenly, Basilone is hit directly in the chest, and falls down. His fellows watch with wide/disbelieving eyes as their hero dies. This ep may be difficult to watch for some viewers. Sledge, Shelton, and their fellow Marines are having a terrible time on Iwo Jima. There is thick mud everywhere. They have to dig trenches around dead bodies. The Japanese will not surrender, so they have to be dug out. Sledge is angered when a belligerant Japanese prisoner gets in his way. He shoves the man away and gets a reprimand from an intelligence officer. At another point, he comtemplates pulling out a dead Japanese soldier’s teeth (as Shelton had done before). Shelton, surprised to see Sledge behaving in such a way, talks him out of it. “They have bad diseases,” he says. In one touching scene, Sledge finds an elderly Japanese woman who is mortally wounded. She gestures to him to come and touches the barrel of his rifle. Sledge is unable to shoot her (to end her miser); he puts down his weapon and gently cradles her in his arms. She dies soon after. Six months after D-Day, Sledge, Shelton, and another Marine travel on a train across the South. One man gets off in a small, dusty Texas town. He’s waiting for his Australian girlfriend to come and marry him. Shelton gets off in bustling New Orleans quietly, as Sledge is fast asleep. Finally, Eugene reaches Mobile (where he is greeted by best friend Sidney). Sidney is now engaged to one of the prettiest girls of their circle. Eugene’s older brother (who fought in Europe) is also back safe and a married man. He’s surprised to hear that Eugene went through the whole war w/o losing his virginity. “There weren’t any women where I was,” he replies. “Except nurses- and they were off-limits.” But if Eugene goes out to in his uniform, he can get any girl, his brother says. “No, I don’t think I’ll ever wear an uniform again,” Eugene concludes. Leckie goes home to his parents small house in suburban New Jersey. He gets his old job (local sports writer) back at the North Bergen County Register (w/ a $7 raise). While typing away one night, he hears his neighbor Vera coming home from a date. Bob’s still interested in her, though she never showed interest in him while they were growing up. He gets into his dress blue uniform and goes over to her house to ask her out (w/ some subtle encouragement from his mother). When Vera accepts a date for the next night with Bob, the officer gets jealous and drives off in his fancy car. Bob takes Vera to a nice local restaurant, but he’s nervous. He can’t keep from looking at her pretty face. She says “you’re doing fine.” Vera asks why he wants to spend time with her; Bob replies it’s b/c she’s someone he knows. “You don’t really know me, Bob,” Vera corrects him with a smile. What happened to all those letters he wrote to her about the war? Bob explains that he never sent them. “To be honest, I never thought I’d make it.” The words were eventually washed away with the rains, but they were “the best stuff I ever wrote,” he says. Lena goes to Raritan, New Jersey to see the Basilone family for the first time. Mr. Basilone compliments her in Italian. John’s brother asks about how she’s doing. It turns out that Lena won’t get a widow’s pension ($10,000) b/c John forgot to sign the required papers. But she’s okay with that; she’ll continue working in the Marines. She presents a box (w/ John’s medal inside) to his father. Lena and Mrs. Basilone share tears and hugs. At the end of the ep (last of series), we get to see pics of the real Marines and what happened to them after WWII. The casting directors did a GREAT job in matching up the actual individuals w/ actors! 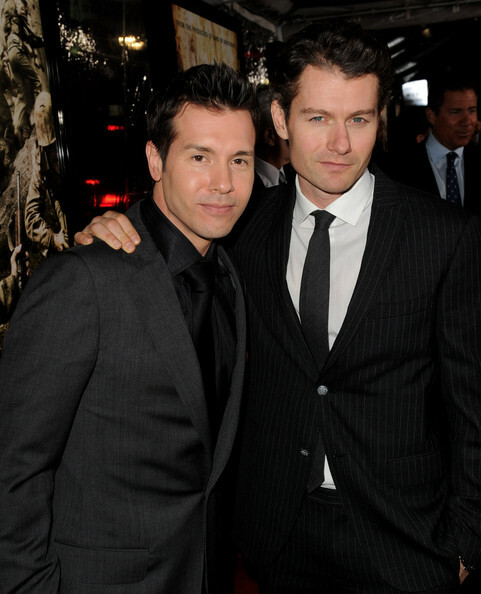 Well, I wanted to see this series when I heard Jon Seda (above left) was in it. 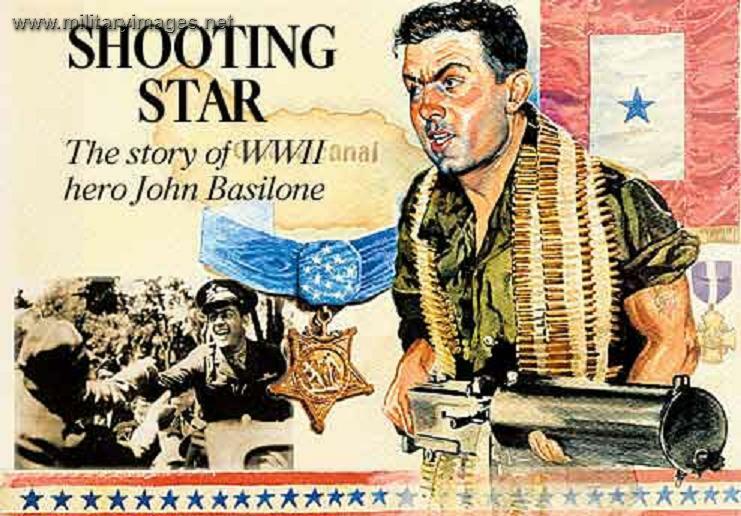 His Latin looks (he’s Puerto Rican), easy-going confidence, and charisma were BIG assets in portraying the almost larger-than-life John Basilone. Another asset- Seda’a ability for subtlety (even when playing men that the audience has preconcieved notions about). As some critics have commented, Seda actually looks younger and fitter than in his earlier roles! The character I most identified with was Robert Leckie, played superbly by James Badge Dale. In real life, Leckie wrote over 40 books- WOW! Leckie, in my opinion, is the volunteer who has NO CLUE what he’s going into. When he joins up, it seems like he’s going in for the experience. He says he wants to write about it. Also, Leckie doesn’t have a lot of confidence in himself, so he uses humor. But he’s also a smart, observant, and sensitive guy. The viewer is instantly empathetic towards Eugene (played w/ ease and quiet dignity by former child actor, Joe Mazzello). Eugene is lanky, baby-faced, sheltered, and has a (potentially deadly) heart murmer. In a few scenes, it looks like he might crack under pressure. But he comes through it w/ help from his fellow Marines (who become his friends). 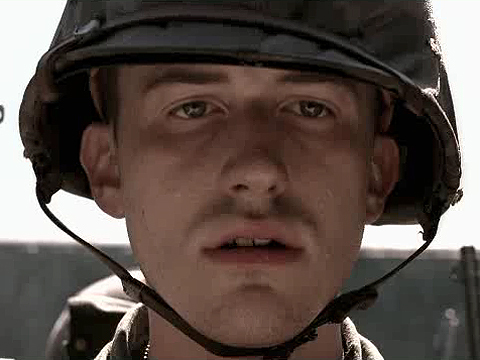 Unlike Band of Brothers, this series focused more time on fewer characters. It also brought in more personal stuff- family, romance, life after war. I liked this approach, and wish there had been more personal development in Band of Brothers. The action in The Pacific seemed more in your face (and scarier), though I think the earlier series had MORE fights. All the minor characters, including some respected veteran actors, did great. Watch this series- it’s great TV!